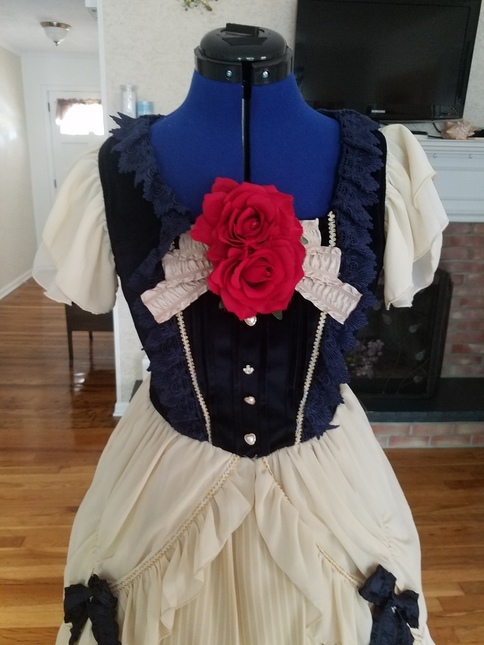 Selling this Infanta OP with rose clip in front. Worn several times, cleaned and steamed after last wearing. No damage I could find. Rose clip is an alligator style. This dress is lovely! Very heavy velvet and skirt material. 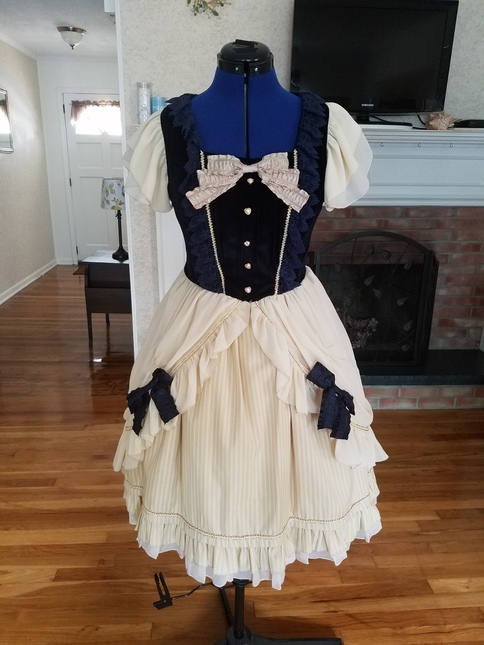 It has a built in petticoat! Colors are true to picture. 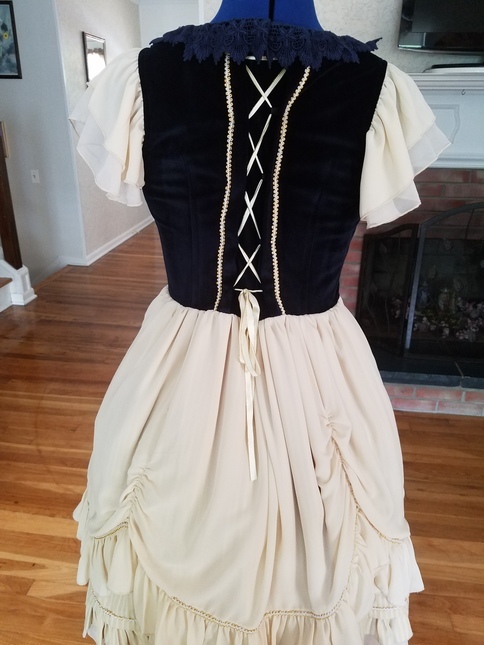 Skirt is more yellowey cream, not white. Shipping is included to the US, contact me for international.